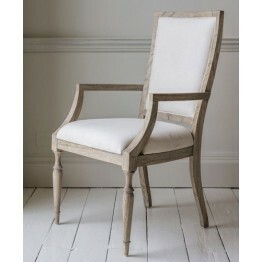 This is the Hudson Living collection of Mustique furniture which is part of the Gallery Direct & Frank Hudson ranges. 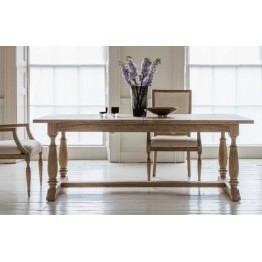 A beautifully balanced and crafted selection of pieces for the dining room, bedroom and living lounge areas of the home. 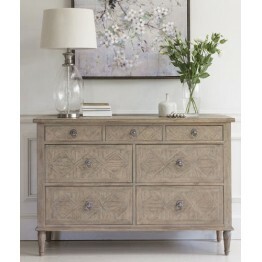 The wood used is Mindi Ash and has a slightly rustic appeal inspired by woods that are exposed to the elements of a beach front home, and many pieces feature an inlaid parquet design. 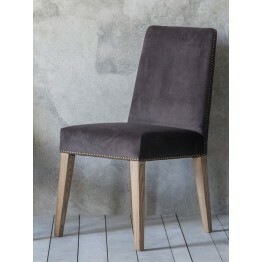 The texture and patina exude casual warmth and natural appeal but are durable for modern home life. 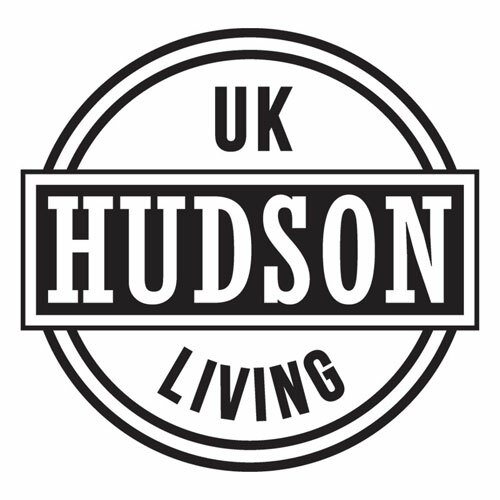 As with all the ranges of furniture we sell, there is no delivery charge if you live in mainland England and Wales, and our own staff will unpack all the furniture for you and take the packaging away also. Delivery times vary throughout the year but are often around 3-4 weeks on this collection, if however you need it sooner please do make contact with us and we'll see if we can get this arranged for you. 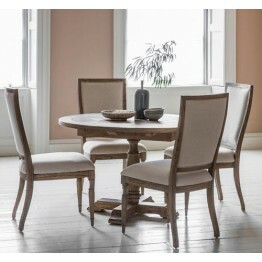 An extending circular dining table with 4 matching dining chairs. 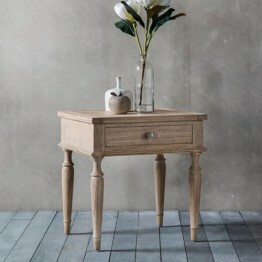 This table has a Parquet effec.. 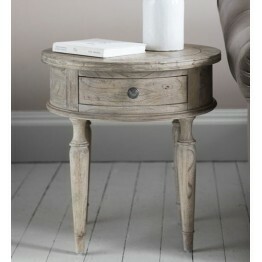 The 1 Drawer Side table which can be used as an occasional table in the living area of the home .. 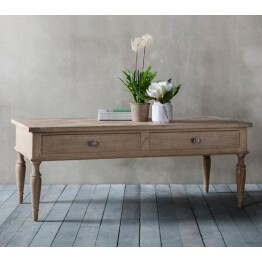 Standing on 4 medium length turned legs this two drawer coffee table will be a welcome addition .. 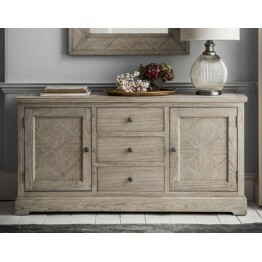 This is the sideboard from the Mustique collection which is supplied to us from Gallery Direct and i.. 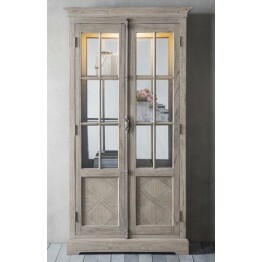 This two door wardrobe has a light tone and colour and also features a Parquet design on the low.. 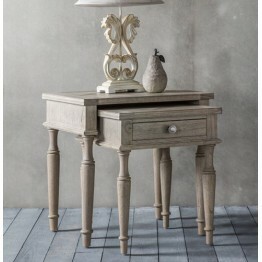 Standing on 2 elegant turned legs this two drawer bedside table has style and function. Th.. 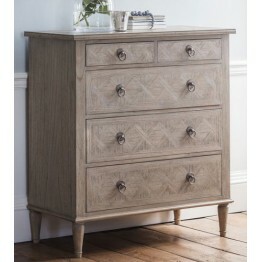 The Hudson Living Mustique collection 5 drawer bedroom chest is obviously a well design piece of.. 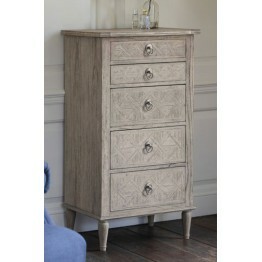 Looking for that something special for the bedroom? 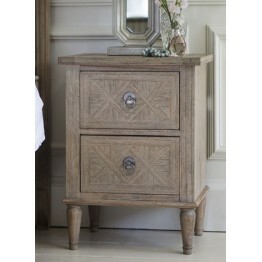 This is the Lingerie chest from the Mustique.. 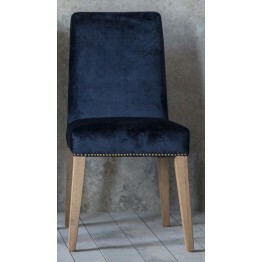 This is an original looking piece of furniture that can be used in many areas of the home and in..
Made in Mindy Ash to match the rest of the range this is the Mustique Armchair (sometimes called.. 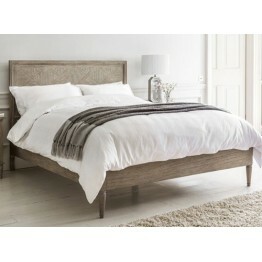 This bedframe is made to hold either a 5ft width mattress or a 6ft width mattress. Just choose b.. 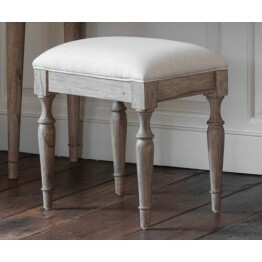 This is a fixed top bedroom stool that has a neutral coloured fabric top, it's wooden frame is m..
Made in Mindy Ash to match the rest of the range this is the Mustique Dining Chair (sometimes ca.. 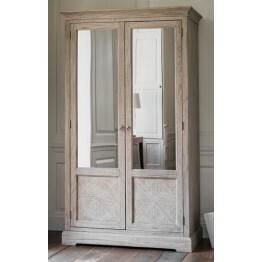 Whether for a hallway, lounge or a kitchen this display cabinet offer great practical storage sp.. 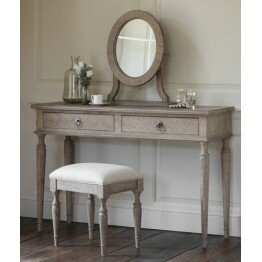 This is a dressing table which stands on four long elegant turned legs and has the benefit of tw..
A truly stylish looking dining table that stands on four legs which locate into a broad end pedestal..
A stylish wooden headboard with a Parquet design that is made from Mindy Ash. 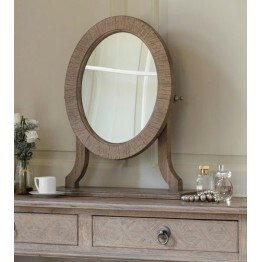 This is a part of ..
A super attractive nest of two tables where the top table has the added benefit of a drawer to s..
An oval mirror that has it's own base so can stand on top of a chest of drawers or dressing tabl..
A rather individual looking round side table with drawer. 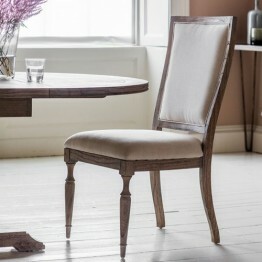 Sometimes these are referred to as Dru..
An extending circular dining table that has a Parquet effect top and is made from Mindy Ash. The.. 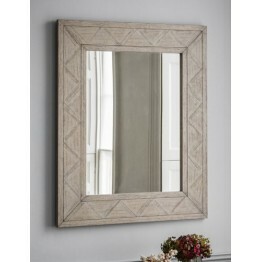 This wall mirror can be hung landscape or portrait way around to suit your home. It has a well p.. 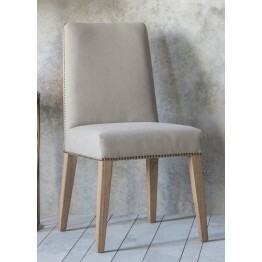 The Rex dining chairs from Gallery Direct Frank Hudson furniture come in pairs and have great st..